I thought I was going to be a farmer, but practical experience put paid to that idea. Instead I became a writer, focusing my attention on travel, conservation and how people can make a living from the land. The result is over a dozen books and scores of feature articles for the Financial Times, the Daily Telegraph, the New Scientist and many other publications. In Land of Plenty, Charlie Pye-Smith travels the length and breadth of Britain to provide a rich and timely portrait of an essential aspect of our national heritage: farming. 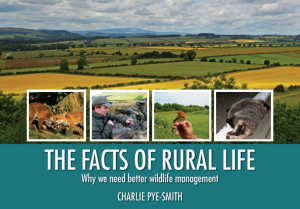 Making the case for better wildlife management in Britain.